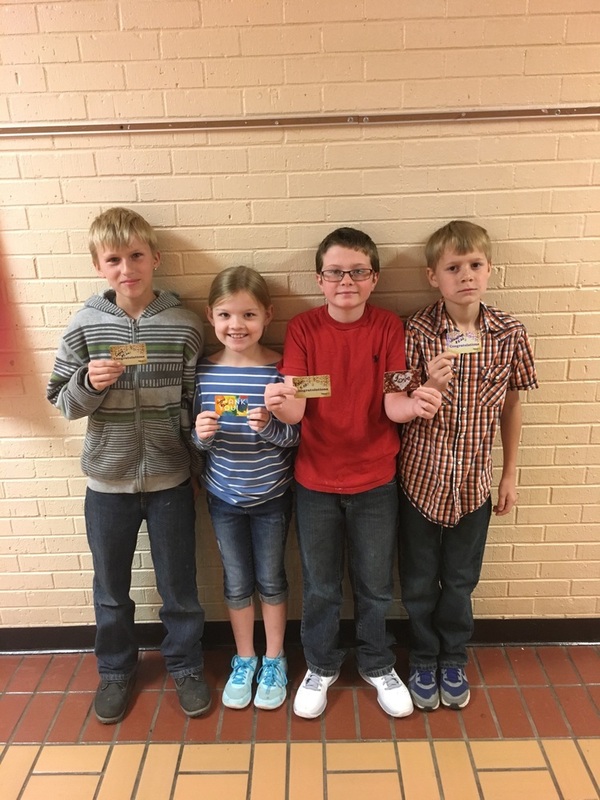 The following 4th graders, pictured L-R, Layne Coslet, Kaylynn Deiss, Ryder Davis, and Johnathan Patrick, were rewarded for improving in all 4 areas of the Interim III ACT Aspire test. All students received a $5.00 Wal-Mart gift card and were placed in the drawing for a $50.00 Wal-Mart gift card. The Grand Prize winner was Ryder Davis. All students also received a gift certificate for a pizza. Congratulations 4th graders!!!! !